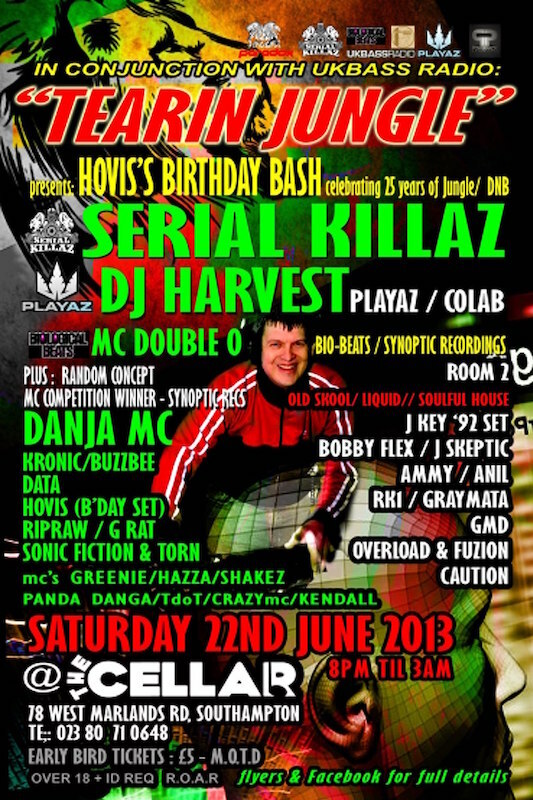 On Saturday 22nd June 2013 at the Cellar, Southampton, DJ Hovis has set up a birthday bash to remember in conjunction with UK Bass Radio, with DJ’s Across 2 Rooms covering Drum & Bass, Jungle Vibez, House & Old Skool. 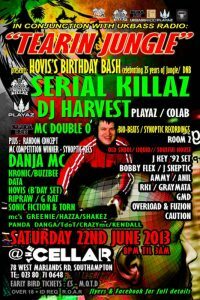 Check out the line up on the Facebook page. Post Rave: Uploaded pics from G-Rat here, here & here.